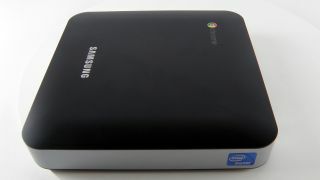 Google has explained why it went for Intel chips rather than ARM in its current generation of Chrome OS-toting kit. The latest Samsung products boasting new Chrome OS are built around the Sandy Bridge chipset from Intel rather than an ARM-based system or the more modern Ivy Bridge. Vice president of engineering, Linus Upson explained that ARM's focus on lower power consumption meant that the performance the company was looking for was simply not there. "You can't get an ARM chip that's anywhere near as fast as this," said Upson, adding that the current kit still offers six hours of active usage. "When we began development Ivy Bridge was not available, but Sandy Bridge offers the right mix of speed and price." Product management director for Chrome OS, Caesar Sengupta, added that moving the system from the lower powered Intel Atom processors to Ivy Bridge was actually the major transition for the engineers. "You can't get an ARM chip that's anywhere near as fast as this,"
"The move from Atom to Sandy Bridge was actually a bigger step, to move Chrome OS onto the Core line," he said. "Intel is fantastic to work with." Of course, currently much of the company's Android software runs on devices that use ARM-designed chips, so there is no lack of familiarity with the UK company's wares. But until the more powerful options begin to creep in, it doesn't sound like work will start on an official ARM Chromebook option. Microsoft, on the other hand, is pushing out Windows 8 for ARM when its next generation operating system arrives later this year.